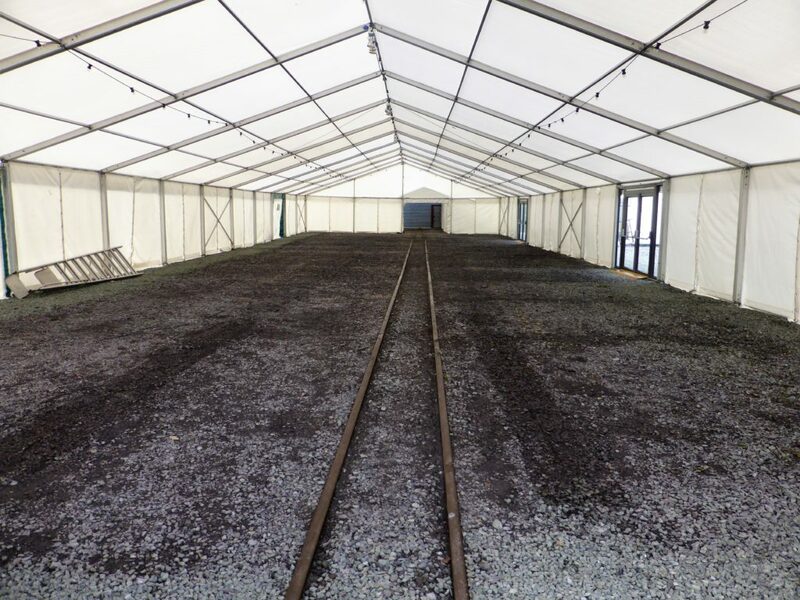 Whilst a good weekend was had by all, someone had to put the site back in order for the normal day to day running of the site.It started off as a sunny morning and work quickly got started on the clear up. 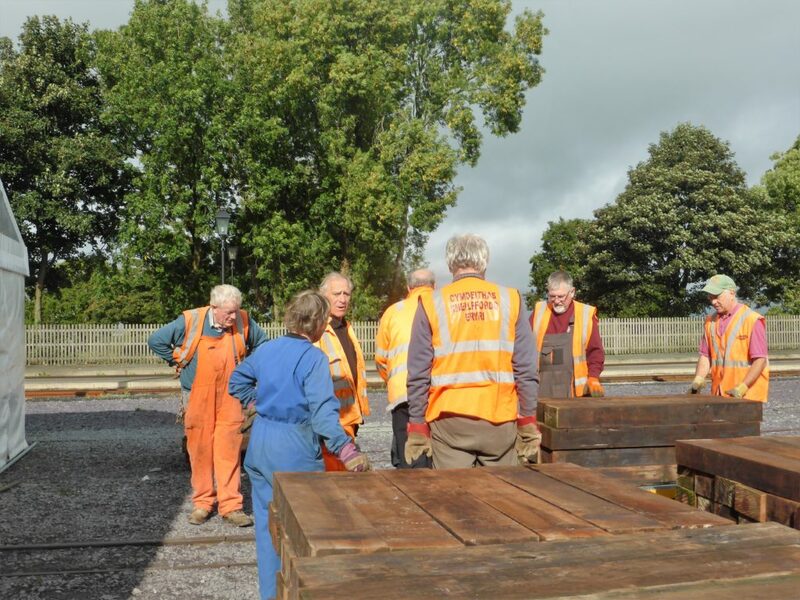 Armed with bolt removers, screw removers and collectors of all things lying around, most of the sleepers were outside by coffee break! All these sleepers have to be lifted, loaded and stacked ready for the forklift truck to put them back in storage. Fortunately, the rain held off and the team took a breather. 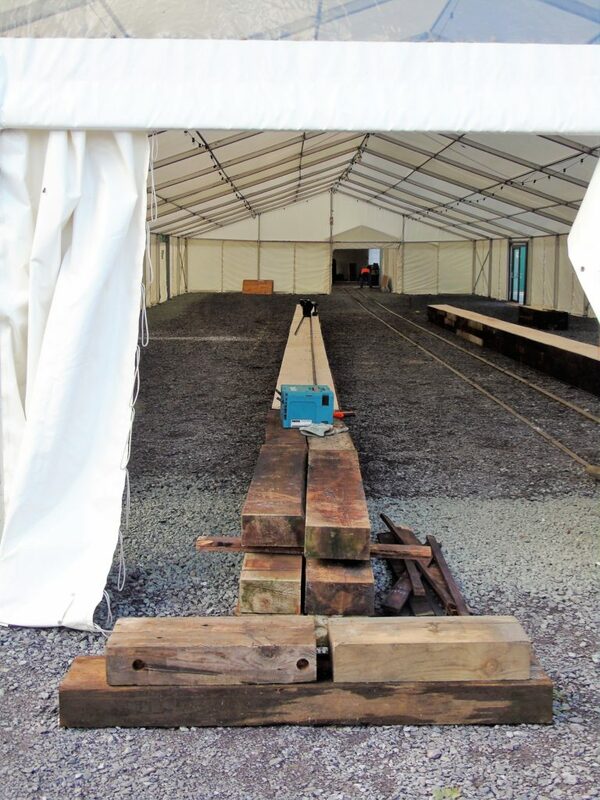 Now it is ready for the marquee people to come and take the marquee down. After coffee/tea break the weather took a turn and all the barriers and cones were collected in the rain and the wind. 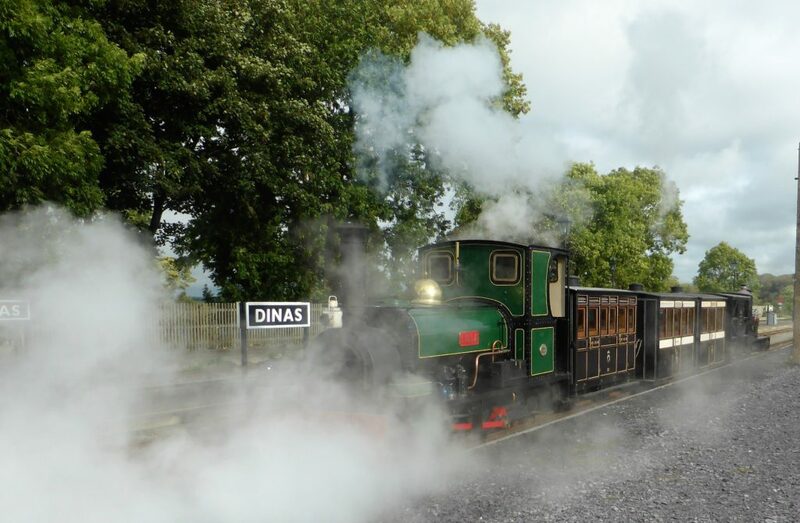 Mind you, there are bonuses for working with this team at Dinas as just as we finished our break, we got to see Lilla and Hugh Napier, (he’s hiding at the back), pull away to take heritage stock back to Boston Lodge and Minffordd Yard until the next event. Now, which gang will I spend some time with next I wonder?